Celebrating Savannah: How does one bury a child? 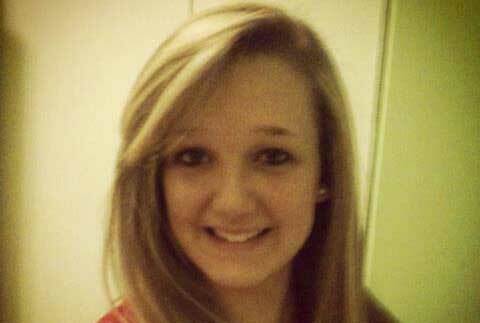 Today I attended the funeral of our friends’ daughter Savannah Deann Nash, 16 years old and 8 days. Our daughters grew up with her, and she spent the night several times at our house with our daughters Eden and Leah for girls’ night sleepovers. What I remember most about her is that she was shy (as a child), had such a sweet spirit and had such a beautiful smile. On Thursday, May 16, Savannah was tragically killed in a car wreck when she turned left to go north onto highway 7, an area that had heavy road construction with trucks and equipment (and no flagman), and she didn’t see a semi-truck on the highway coming toward her. She had just recently gotten her license and her car. She was on her way to the grocery store to get items for the family dinner. 16. Savannah was a beautiful girl, inside and out. Her smile lit up a room and she had such a strong faith in Jesus and a sincere, huge love for everyone. To help you understand what kind of impact she had on everyone around her, today the officiating pastor of her church said that over 2,000 people attended her viewing yesterday. I believe it because I was there for over three hours with our daughter Heather, and people just kept coming through the church doors. I didn’t see how her family stood there so long, talking to everyone in line giving their condolences to the family~ but by the grace of God. As I watched with a heavy heart Savannah’s parents at the funeral today, I thought, How does one bury a child? I can’t imagine anything worse. It would be unbearable. I don’t think I could stand it. He allowed and watched His only son Jesus die a torturous death on a cross over 2,000 years ago, so you and I wouldn’t have to die for our sins. Then God raised Him from the dead so you and I could have a relationship with God and live with Him in heaven forever. And so in times of intense grief like today, we could know His comfort, mercy, and love. The kind of love Savannah knew, lived, and shared so well. Savannah was endearing to all who knew her. She was a burning, flaming light in a dark world, with her beautiful smile, her happy little giggle, and her sweet, genuine spirit. She loved her family and her friends – and oh, how obvious it was yesterday and today that she was well loved! Her great, God-like love convicts me. Lord, teach me to love You and others in that pure and sincere way. Today at the funeral we laughed and we cried. We watched a power point slideshow of pictures from Savannah’s life from babyhood to her recent 16th birthday. We heard how creative and artistic Savannah was, constantly drawing art and writing poems. We listened to the heart-breaking, daddy-little girl song, Butterfly Kisses. We heard a salvation message at the end of the service, something Savannah would have wanted because her relationship with God was real and intense. She loved to worship God at church. She’s now worshipping Him in heaven, forever. I told a friend today that she wouldn’t have wanted me or anyone else to lay hands on her and command her to live in the name of Jesus. No, she wouldn’t have wanted to be raised from the dead. She’s perfectly at peace and full of joy where she’s at now, in God’s presence. Will you be there when it’s your time? Do you know Jesus as Savior? Today we celebrated Savannah. She’d want us to celebrate Jesus, family, friends, and life. Thank you, Savannah, for being such a wonderful role model to so many. You were a beautiful person, inside and out. Your life will continue to impact many people, even in death. FYI: It is being widely reported in the news that she was texting and driving, but there’s NO proof whatsoever of this, and her father Paul Nash refutes this on his Facebook page. You can read what he said at the end of this post.